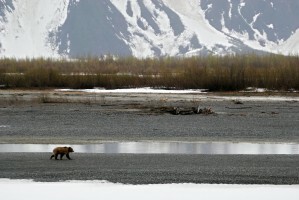 The Copper River Delta is a stronghold for brown bears and wild salmon (B Cole). Our wild salmon heritage begins and ends in our forest home. Alaska’s Copper River salmon fishery is a world-famous example of everything right and wonderful about our salmon heritage. 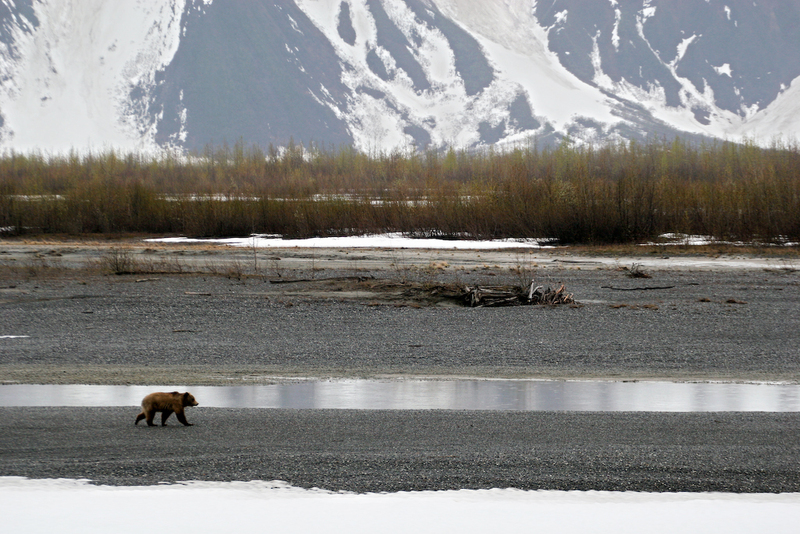 The Copper River Delta embedded in the Chugach National Forest—at nearly 700,000 roadless acres and the largest intact wetland on the Pacific Coast— is a crown jewel. Yet this “jewel” is currently at risk from unchecked recreation, over-hunting, oil spills and coal mining. Permanent protection of such jewels is critical to sustaining our wild salmon heritage. The current forest plan revision on the 5.4-million acre Chugach National Forest presents a unique opportunity to do just that. The Chugach is one of seven “pilot” national forests undergoing revisions under the newly revised National Forest Management Act (NFMA) forest planning regulations, making what we do here a nationally significant precedent. Cascadia Wildlands proposes designation of the Copper and Bering River Delta areas as a Wild Salmon Reserve. This prescription follows the vision of visionaries like Gifford Pinchot and Teddy Roosevelt, who reveled in our wildlands as working landscapes.